It had the feeling of a pirate radio station, with indelible, distinct voices and strong personalities. It’s still the greatest radio station in the world. That is literally true; you can listen in Sri Lanka, or Djibouti, or anywhere else, if you have a good internet connection. In the thirty-eight years since the station was launched by Jerry Brock and his brother Walter from an upstairs room at Tipitina’s, WWOZ has taken an extraordinary journey and taken its listeners with it. 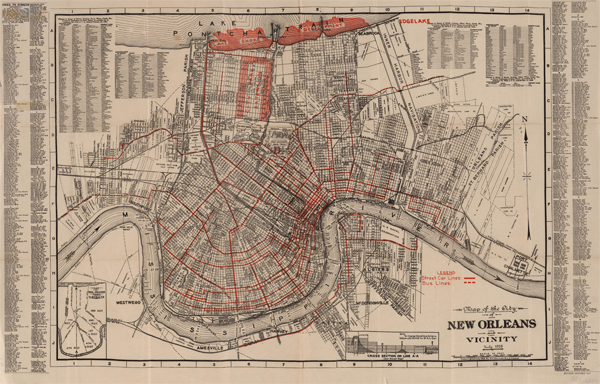 When I first came to New Orleans to live, in 1994, the station was rougher around the edges—and inside the edges, for that matter—than it is now. Although it has retained its menu of R&B, blues, jazz both traditional and modern, brass bands, Cajun, country, and every other kind of American and African-diaspora–based music you can imagine, careful supervision and oversight have streamlined it a bit, made it much more professional sounding. Back then it was a different story, although that could be said of the city in general as well. That was before the levees failed during Katrina and the national spotlight swung around toward the city, before HBO’s Treme (for which I was a writer) conscripted a lot of viewers into an emotional involvement with the culture of this place, before a wave of gentrification and Airbnbs. It was before a lot of things, including the passing of most of the city’s Old Guard of iconic musicians. Professor Longhair and James Booker were gone by the time I arrived, but you could still go out most any night of the week and hear Snooks Eaglin, Earl King, Eddie Bo, and Ernie K-Doe; Irma Thomas at her own club, the Lion’s Den; Kermit Ruffins at Little People’s; zydeco kings Boozoo Chavis and Beau Jocque at the old Rock ‘n’ Bowl, upstairs above a shopping center on Carrollton and Tulane . . . The city was riddled with legend and lore, and most of the people here were clued in. It was the voices and personalities that made it truly special. And when you weren’t out at the clubs you could always switch on WWOZ—90.7 on your FM dial. At that time it still had the feeling of a pirate radio station, with indelible, distinct voices and strong personalities. Although they had just begun broadcasting on the web, ’OZ was still primarily aimed at an audience of locals and hipsters. Weekday mornings were devoted to orthodox traditional jazz; there was blues in the afternoon and modern jazz in drive time, Cajun and country and gospel on Sundays. Some of the DJs sounded like pros, and some sounded like amateurs; taken together they embodied the funky, unpredictable, idiosyncratic charm of the city then. The studios had been located in Armstrong Park in the historic Tremé neighborhood since 1984, and the station had doubtless picked up vibes and blessings from all the ghosts of that sacred turf. It was the voices and personalities that made it truly special, and what a roster of characters the station attracted. Ernie K-Doe had given up his show by the time I landed in town, but you can hear tapes of him if you know the right people; he would talk on top of the records he played, hollering at the musicians thereon and often drowning them out, emitting a running commentary of surreal intensity. But you could still hear John Sinclair (founder of the White Panther Party and the Ann Arbor Blues and Jazz Festival, immortalized in song by John Lennon), who always played righteous music, from the R&B canon to straight Delta blues to hip jazz of the Mingus/Blue Note stripe. His low, rumbling voice and contagious, rheumy laugh made you feel right at home. Local musicians like Don Vappie and Bob French hosted warm, down-home shows. It was a tradition for many of the DJs to have pseudonyms. There was Big Mama on Saturday mornings, mother of guitarist John Rankin, who always ended her show with a recording of the traditional jazz standard “Mama’s Gone, Goodbye.” There was Brown Sugar, about whom Bob Dylan wrote, “She was on in the midnight hours, played records by Wynonie Harris, Roy Brown, Ivory Joe Hunter, Little Walter, Lightnin’ Hopkins, Chuck Willis, all the greats . . . Whoever she was, (she) had a thick, slow, dreamy, oozing molasses voice . . . She’d ramble on, take phone calls, give love advice.” There was Teddy McQuiston, known only by his on-air name of Ready Teddy, wildest of all, with his nonstop line of jive: “This is Ready Teddy, hangin’ in like Gunga Din, like wet clothes on a clothes line, cool as a breeze in the Rigoleees.” He delivered his line of patter as if he were hanging on to his slot with his fingernails for dear life, playing the same handful of sides, it seemed, every show, including, on one particularly manic evening, Little Richard’s apocalyptic recording of “Ready Teddy” (no relation) four times in succession; I was living with a woman then who had a giant Rottweiler named Deputy, and as we danced around her bedroom Deputy grabbed a corner of his dog bed in his mouth and swung it around, dancing with us to Ready Teddy. But I digress. 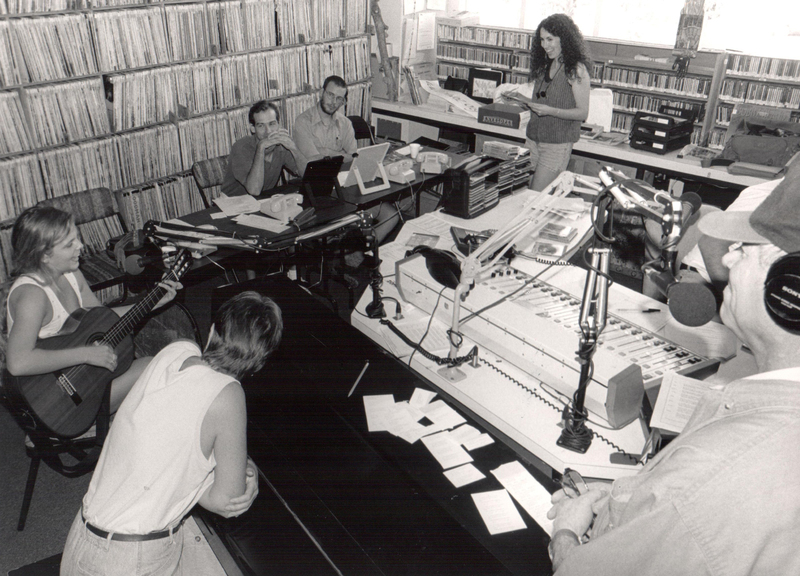 To me, everything that was great about WWOZ was summed up on one spring night in 1999, during the twice-yearly fund drive. It was and still is a listener-supported station. I always tried to pledge during Billy Delle’s Wednesday night oldies show Records from The Crypt. 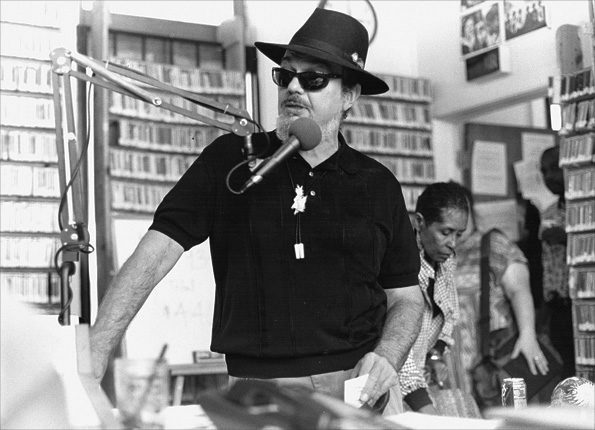 “Sit back,” he’d tell you in his deep, deep New Orleans drawl, “and crack open a cold beer here at 90.7 FM—your hawd-core rhythm and blues station in the Crescent City—Tremé outside our back door.” He would claim to be pulling a stack of LPs and 45s out of his Schwegmann’s shopping bag (a supermarket chain now gone, too), and play obscurities crackling with surface noise and gravy. Billy Delle liked to have guests in the studio, and on this fund-drive night his guests were the great blind guitarist Snooks Eaglin and Ernie “Mother-In-Law” K-Doe, one of the most outsize personalities ever produced in a city where outsize personalities are a specialty of the house. Billy Delle and Dee Lindsey were scrounging around finding incentives for listeners to call in their pledges—blues CDs, a free room at the Radisson, breakfast for two someplace—and both of them, along with Snooks and K-Doe, giving shout-outs to all the contributors. And in the middle of it all, the great pianist and funkster Eddie Bo showed up in the control room. Only minutes earlier, Billy Delle had announced that Eddie’s house had burned to the ground earlier that day in an electrical fire; now he was showing up at the studio to help with the fund drive. The entire evening from then on was a chaotic polyphony of those voices hollering encouragement to the listeners to contribute, hollering at one another, laughing, telling jokes, all of it climaxing with Snooks, guitar in hand, turning the station’s phone number into a song. “Five six EIGHT,” he sang, “one—TWO—three four”—over and over . . . and over . . . and over . . . digging way down into the funk on his guitar, and to my dying day I will never be able to forget the phone number of the WWOZ control room. After Katrina, the station moved to a new space in the French Market, and some (but not all) of that special early magic seemed to go out of it. It’s still light-years better than any other station in the known universe. But sometimes, in the midnight hours . . .
Tom Piazza is celebrated both as a novelist and as a writer on American music. 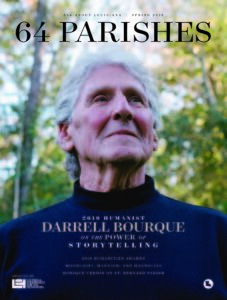 His twelve books include the novels A Free State and City Of Refuge, the post-Katrina manifesto Why New Orleans Matters, and the essay collection Devil Sent The Rain. He was a principal writer for the innovative HBO drama series TREME, and the winner of a Grammy Award for his album notes to Martin Scorsese Presents The Blues: A Musical Journey. His writing has appeared in The New York Times, The Atlantic, Bookforum, The Oxford American, Columbia Journalism Review, and many other periodicals. He lives in New Orleans.